The pop charts have a bit of something for everything: a bit of funk in Mark Ronson and Bruno Mars’ “Uptown Funk“, Taylor Swift’s “Style“, or Paul McCartney, Kanye West and Rihanna in “FourFiveSeconds“. 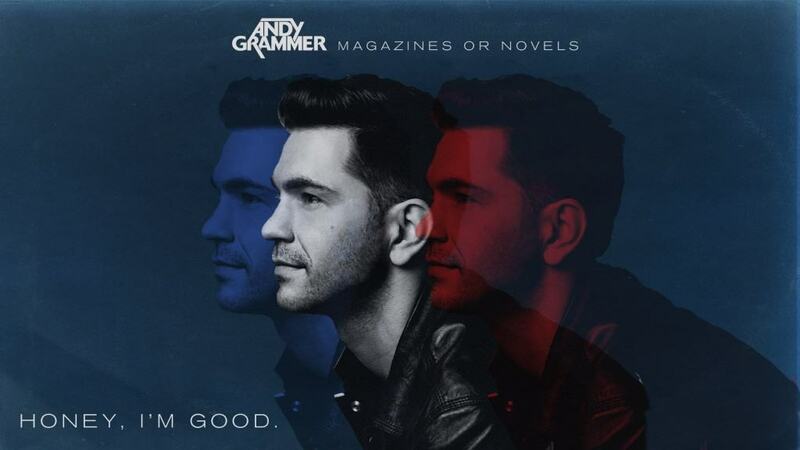 Also, there are lesser known faces, like Tori Kelly, Meghan Trainor and Andy Grammer, making their mark on the charts. With that said, here is a list of ten of today’s trending pop hits ready for play any day of the week. 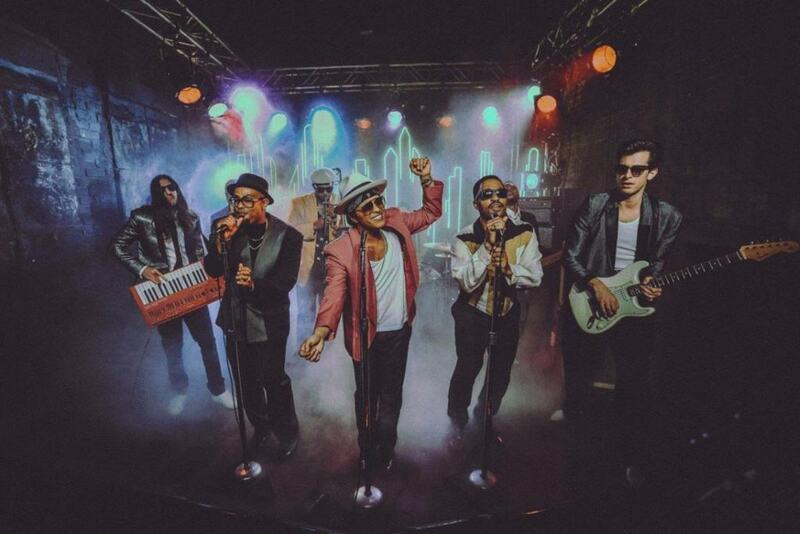 Uptown Funk, recorded by Mark Ronson with guest vocals by Bruno Mars, has sat on the music charts for several months. Ronson says that the song “turned into a full-on combustible groove workout with elastic bass and indomitable spirit” upon completion. Taylor Swift’s “Style” is the third single off of her critically-acclaimed album 1989. “Style” has been referred to a disco anthem, funk-pop track and has proved to be a fantastic follow-up to the ultimate catchy songs “Shake It Off” and “Blank Space“. Sugar is one of many hits from pop band Maroon 5. Off of their fifth studio album, V, “Sugar” has a strong retro vibe. At its peak, “Sugar” reached number 2 on Billboard Hot 100 and has been Maroon 5’s eighth consecutive top ten hit. “I Want You To Know” features the vocals of Selena Gomez and DJ Zedd. Critics have attacked the song with mixed opinions, with Inquisitr saying that the single is “underwhelming given all the hype“. However, the charts prove otherwise, with many also wondering why Gomez hadn’t tested the waters of electronic dance music in the past. 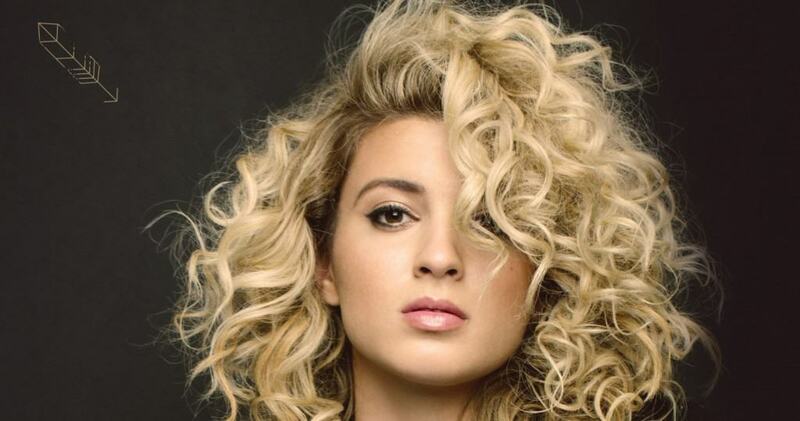 A newcomer to the scene, singer-songwriter Tori Kelly recently released “Nobody Love“, which has also been featured in a recent episode of Ellen. The Max-Martin produced single is a mixture of powerful vocals, with a poppy beat. The country-pop hit “Honey, I’m Good” is one of several of singer-songwriter Andy Grammer’s hits. 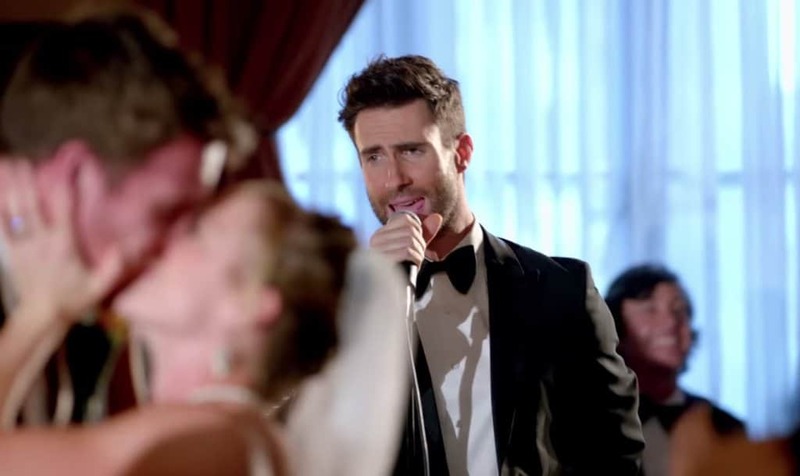 In the song, Grammer tackles infidiletly in the song and even featured real-life couples in the music video. Ed Sheeran’s “Thinking Out Loud” is the perfect blue-eyed soul for a wedding, shindig, or anything in-between. 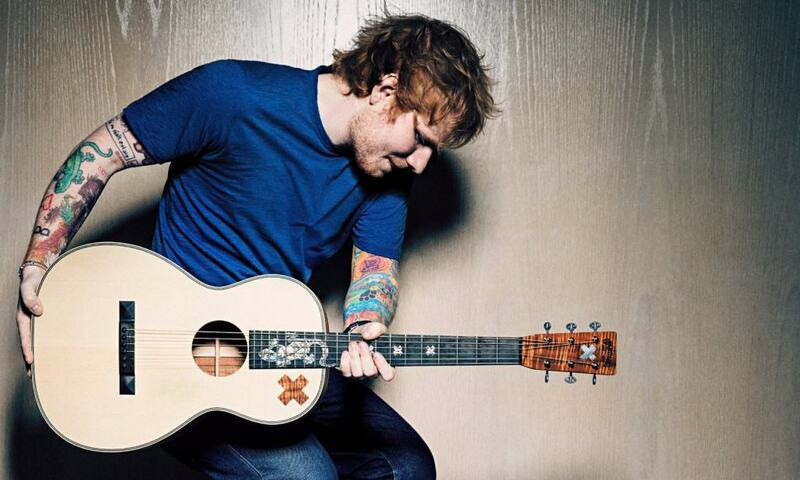 The love ballad has made its round on the radio and charts and is Sheeran’s highest charting single in the United States to date. “Time of Our Lives” is a song recorded by Pitbull and Ne-Yo. The rhythmic, dance-pop hit has sat on number one on the US Rhythmic chart for several months and has been one of Pitbull’s most successful singles. The star duo has soared in the Hot 100’s top 40 and continues to climb the charts. Meghan Trainor has proved that she isn’t a one-hit-wonder with her newest single “Lips Are Movin“. The singer-songwriter released the song off of her debut studio album, Title. The 21-year-old also received nearly three million views within the first few days of the music video’s release The bubblegum pop song has been performed on programs including Today, The Voice, and Dancing with the Stars. 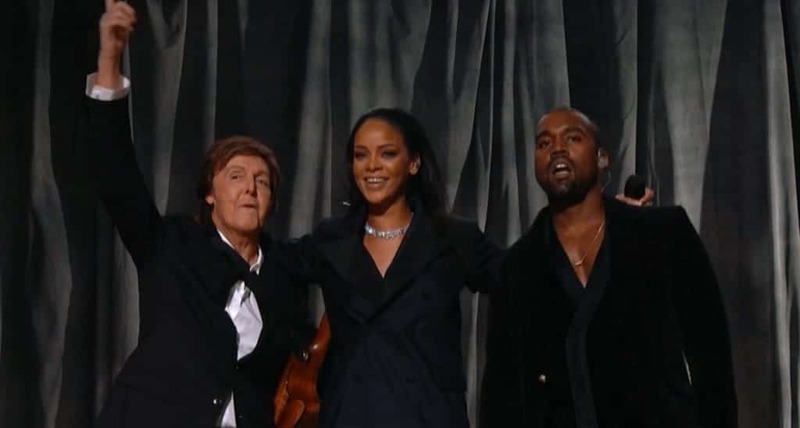 “FourFiveSeconds” is a soul-pop song that has been praised by critics who are impressed by Rihanna and West’s new direction, as well as their vocals on the single. The song was performed for the first time live at the 57th Annual Grammy Awards. The music video also made a dent with critics, with many noting how the simplicity of the black-and-white video matches the calmness of the song itself.